1. What music did Toru describe as “the perfect music for cooking pasta” in The Wind-Up Bird Chronicle? 2. In The Wind-Up Bird Chronicle, which Mozart opera did Nutmeg compare Toru’s life to in his search for Kumiko, his missing wife? If you know the answers this week’s trivia questions, send them to info@JapanCulture-NYC.com by noon on Friday, November 8. We’ll conduct a random drawing from the correct answers later that day. Two lucky winners will receive a pair of tickets each to attend the Murakami Music Project on November 10 at Symphony Space. 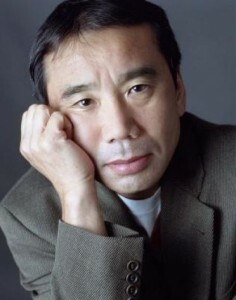 Next Next post: Final Winners in the Murakami Music/JapanCulture•NYC Trivia Contest!